ICH Blog: Labrador kayaks old and new, and adventures with polar bears. Labrador kayaks old and new, and adventures with polar bears. This morning, Peter Cowan, reporter and video journalist for CBC in Labrador, tweeted a link to this story, about Noah Nochasak's journey to Hebron in a handmade, traditional style kayak. It is well worth a listen, particularly the part about Nochasak's run-in with a polar bear. 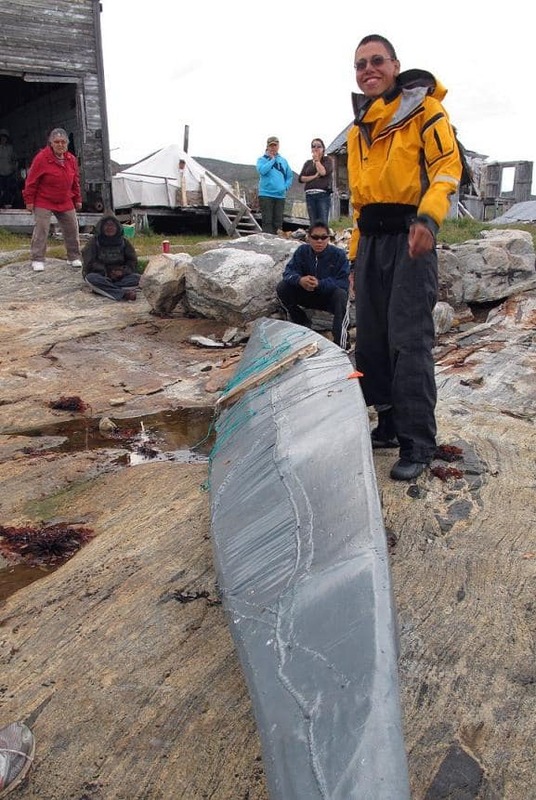 As a sometimes kayaker, I was interested in Nochasak's construction of the kayak, which is built along traditional Inuit lines, but using nylon instead of skin as the covering. It is a good example of one of the basic tenets of intangible cultural heritage: that ICH comes from the past but is in a constant state of evolution. Give the interview a listen here.